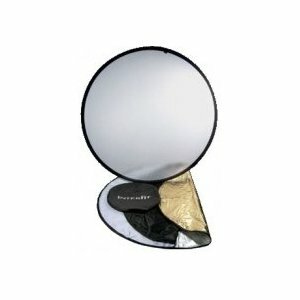 Collapsible 5-in-1 Reflector Disc - 50"
This reflector is a steel band disc covered with white translucent fabric. It features a reversible slipcover that converts into four (4) additional light modifiers. Calumet Collapsible 5-in-1 Reflector Disc - 50"